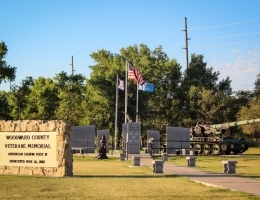 Woodward is the gateway to NW Oklahoma – rolling plains, towering mesas and spectacular sunsets that ignite the whole sky; Woodward has definitely put the “great” into the great outdoors. With genuine hometown hospitality and Wild West history, Woodward is the place where you can see how the enduring spirit of the original pioneers still lives on. 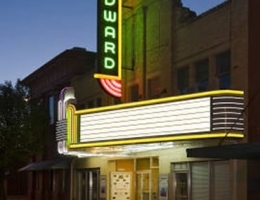 Originally, the area was the home of Kiowa, Cheyenne, Comanche and Arapahoe tribes and the town of Woodward was established in 1887 when the railroad came in from Kiowa, Kansas. Located in the western quadrant of the Cherokee Outlet, the town began 6 years before the outlet was officially opened to non-Indian settlers as it was needed as a provisioning point for Fort Supply, located 12 miles to the northwest. Woodward has been a trade center ever since. The railroad made Woodward a stop on the Great Western Cattle Trail, and Woodward’s importance grew as the depot shipped thousands of head of cattle back east. Woodward soon got a reputation as a rough-and-tumble frontier town, and tales of the gunfights of the famous attorney Temple Houston are still told today. The population grew even more after the Land Run of 1893, when the government opened up unassigned lands to white settlers. 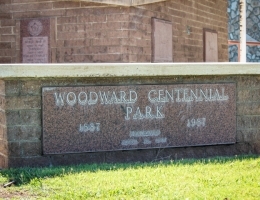 By 1930, Woodward’s population had grown to 5,056 residents. During the Great Depression, local Works Progress Administration projects included the damming of an artesian well (a failed oil well venture) to form Crystal Beach Lake and its adjacent park. This facility would become a focal point for Woodward’s residents and a permanent home for the Elks Rodeo, which began in 1929. Woodward’s story forever changed the night of April 9, 1947 when a tornado ripped across the city shortly after 8:30 p.m. The storm destroyed 200 city blocks and killed more than 100 people. History would now be measured as having happened before or after the tornado! 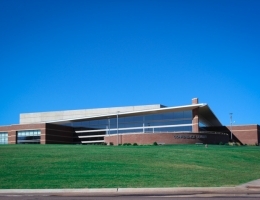 In late November 1956, Woodward began a new adventure - oil and gas production. McCormick #1 became the country’s discovery gas well, and a boom of more than twenty years followed. 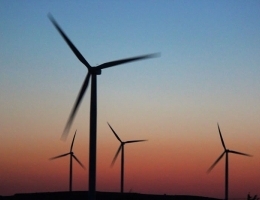 Today, the energy industry is more important than ever to Woodward; however; Woodward is also leading the way in ‘green’ technology with more than 450 wind-powered turbines lining the hills surrounding Woodward, generating power and employing hundreds in the area. 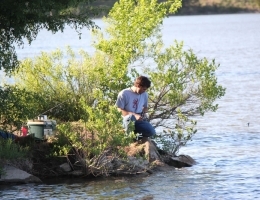 Present day visitors to Woodward can instantly feel the connection Woodward has to the great outdoors, withsome of the finest natural landscaping in the country, Woodward has become the natural base camp for visitors wanting to explore NW Oklahoma. 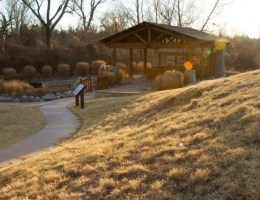 Boiling Springs State Park and is a natural ‘oasis on the plains’, one of the original seven State Parks built in the 1930’s, the park is named after the natural ‘boiling’ spring that still flows and keeps the lake full and surrounding land fertile through even the driest of summers. Nestled on the edge of the State Park is the Boiling Springs Golf Course, one of the finest municipal golf courses in the country that has recently undergone a dramatic makeover and now provides players with one of the most challenging playing experiences in the region. 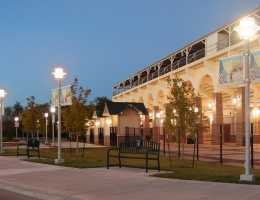 Crystal Beach Park is the sports and leisure centerpiece for the City of Woodward. 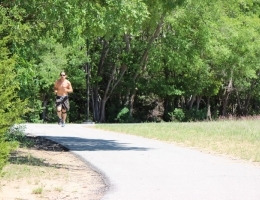 Having recently undergone a $25m renovation, the park provides the sports and armchair enthusiast alike with a variety of things to do and see. 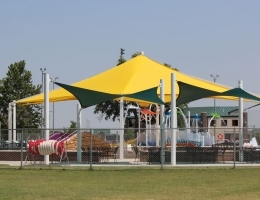 State of the art playground equipment can be found throughout the park which also includes the Crystal Beach Aquatics Center, Fuller Park Baseball field, home of the Woodward Travelers, a spring fed lake that is always stocked with a variety of fish for the professional and casual angler, as well as tennis courts, football fields, indoor and outdoor sports facilities, picnic areas and a band-shell for the performing arts. 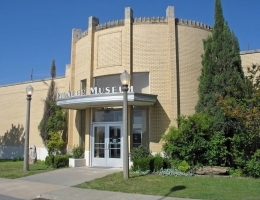 The Plains Indians & Pioneers Museum provides visitors with a taste of the days of the old Wild West. Murals by Paul Laune and Pat “Kemoha” Patterson show the lifestyle of the NW Oklahoman Native Americans and trace the settlement of the first pioneers. 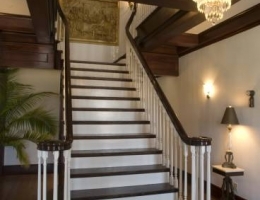 Visitors can follow the history of the oil boom and there is a special area set aside for the son of Sam Houston, Temple Lea Houston, the famous, or infamous ‘lawyer with a gun’ who made Woodward his home. Follow the retro sign to downtown and stop in at the Woodward Arts Theatre, originally built in 1929; this beautifully restored theatre now hosts a wide variety of performances from both local and traveling acts as well as annual events such as the Twister Alley International Film Festival held in spring of each year. Within a short drive of Woodward the great outdoors really comes to life and there are numerous natural and man-made attractions to explore. Half an hour from Woodward are the Alabaster Caverns, the world’s largest Gypsum Caverns that are open and accessible to the public. 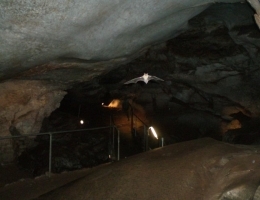 The more adventurous can go spelunking throughout the cave system; however, for the more down to earth visitor, a network of stairs, handrails and well carved pathways allow you to experience the magnificence and majesty of this cave system. The Cimarron Bluff Wildlife Management area is another spectacular day out from Woodward with quail, deer, and turkey, all visible in their natural environment. Fort Supply Historic Site is just 13 miles North of Woodward and is the site of the original 19th Century army camp where General George Custer spent time during the US Government’s campaign against the Plains Indians. 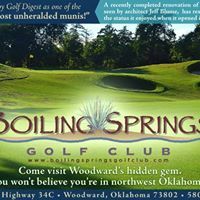 Woodward has a wide variety of hotels, all offering their guests a warm NW Oklahoma welcome with a range of amenities and facilities to suit every guest. From fast food to fine dining, there are plenty of restaurants to choose from in Woodward, with true American style diners, continental cafes and good old fashioned pub food, there is something to satisfy every appetite and everyone. 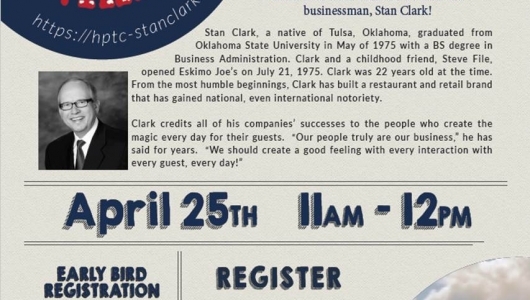 Woodward – your gateway to NW Oklahoma. 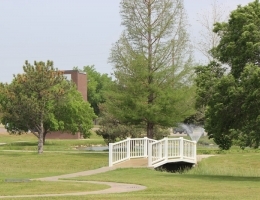 This beautiful Park is located across the street from the Pioneer Museum and South of the Woodward Post Office. Take a little time and walk through this beautiful park.